The decision to nationalize the islands was driven by China’s rise and the fear this sparked in Japan. With a series of senior-level meetings between China and the U.S. taking place this summer, various scholars and media outlets have returned to the question of whether the two countries can avoid the Thucydides Trap— a reference to the historian’s observation that the real cause of the Peloponnesian War was the rise of Athenian power and the fear this sparked in the established power of the day, Sparta. For years now, the Thucydides Trap has been invoked repeatedly by observers contemplating the future trajectory of Sino-American relations. Although it may be someday be a useful comparison for U.S.-China relations, currently it better fits Sino-Japanese relations. Indeed, the two countries have been at loggerheads for nearly a year now ever since Japan announced that it was going to purchase some the disputed Diaoyu/Senkaku Islands. The national government defended this decision as necessary to prevent the nationalistic Tokyo Governor Shintaro Ishihara from following through threat to purchase some of the islands, a defense that has done little to ease China’s concerns over the provocation. Although the Diaoyu/Senkaku dispute has been covered extensively— including by The Diplomat— too often the reporting and commentary on the subject fails to go beyond the surface issues, such as Chinese patrols of the surrounding waters and Japan’s decision to beef up its Self-Defense Forces. The coverage that has probed deeper has usually done so by discussing history, nationalism, and China’s growing military might. But the current Diaoyu/Senkaku standoff has less to do with Chinese military per se, and more to do with the fear that this has struck in Japan. Indeed, while the proximate cause of Japan’s nationalization of islands may have been a desire to preempt a nationalistic mayor, the context in which it took place during suggests it had more to do with Japan’s concern about the future. When first re-establishing relations in the 1970s, Beijing and Tokyo had avoided the thorny issue of the Island dispute by deciding to leave it to future generations. This suited both parties in 1978 when Deng Xiaoping was willing to forgo other interests in order to modernize the economy, and Japan already administered the islands and was many times more powerful than China. But as China’s power has grown rapidly while Japan’s has declined, the status-quo became less palpable for policymakers in Tokyo. After all, given prevailing demographic trends, it hardly seems likely that Japan will be able to retain a favorable militarily balance against China for the indefinite future. Thus, by continuing to leave the question of sovereignty to future generations, Japan would be leaving itself vulnerable to a situation where China could someday decide the issue unilaterally through the use of force. This prospect became increasingly concerning to Japanese policymakers since 2010 as China has become more increasingly assertive towards its weaker neighbors in the South China Sea. In particular, Beijing’s decision to create a new status-quo vis-à-vis the Philippines in the Scarborough Shoal in early 2012 must have been a harrowing development for Tokyo. Like Japan, the Philippines is a long-time ally of the United States and this fact did not prevent the People’s Liberation Army-Navy from creating new realities on the ground. To be sure, the power discrepancy between China and the Philippines is many times greater than it is between Japan and China. But this is largely the point. 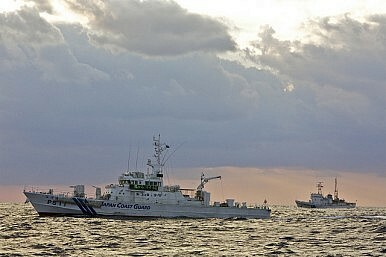 In 2012-2013, Japan can be reasonably confident of its ability to defend the islands from an assault by China’s military. But this is becoming increasingly less true and someday in the not so distant future could be demonstrably false. From Tokyo’s perspective, it was imperative to resolve the sovereignty dispute before that day arrived. There were other, related reasons for Japan to want to bring the issue to a head when it did. For example, the United States was in the midst of implementing its pivot to Asia and would not want to be seen as failing to back its strongest ally in the region, especially after failing to adequately back the Philippines in the case of the Scarborough Shoal. Secondly, as noted above, demographic trends basically preclude Japan from being able to unilaterally balance against China. On the other hand, China’s power will never be so great as to overwhelm all of its neighbors singlehandedly. Tokyo’s goal, then, is to strengthen ties with as many regional states as possible, in order to maintain a regional balance of power amidst a rising China. Given how many states have territorial disputes with China in the region, the Diaoyu/Senkaku Islands is the perfect issue for Tokyo to rally these states together, as indeed it has tried to do by linking the South and East China Sea disputes together. Finally, even if Japan is likely to be eclipsed by China militarily in the future, Tokyo still has an interest in strengthening its armed forces. This has proven a herculean challenge for Japanese policymakers to sell to an aging public with many demands on the state. A potential future Chinese threat is unlikely to sway the public to accede to defense budget increases in the same way as a current territorial dispute tinged with historical significance and nationalistic fervor can. In all these ways, then, bringing the Diaoyu/Senkaku dispute to a head at this time was driven by Japanese policymakers’ concern about China’s rise and what it portended about the future.